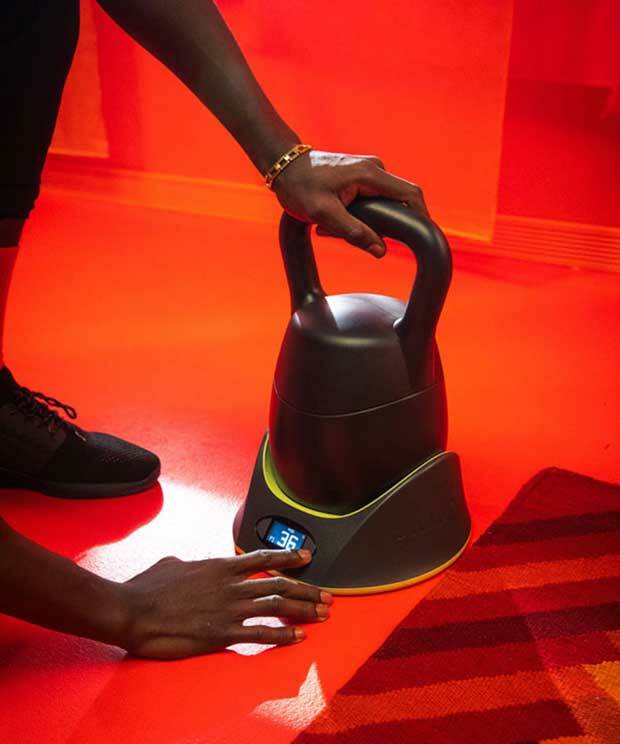 Jaxjox’s unique kettlebell lets you save space and time. 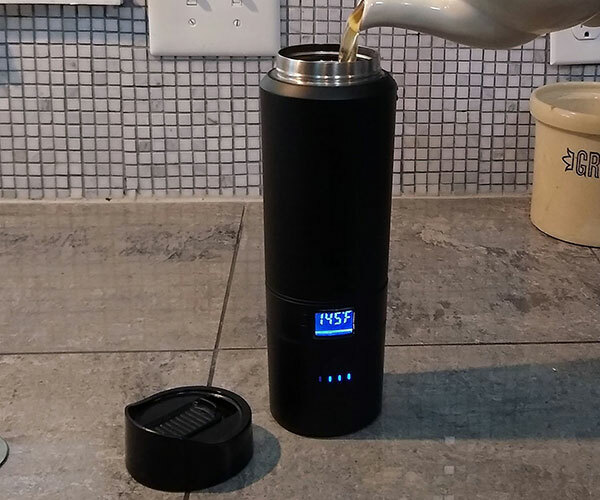 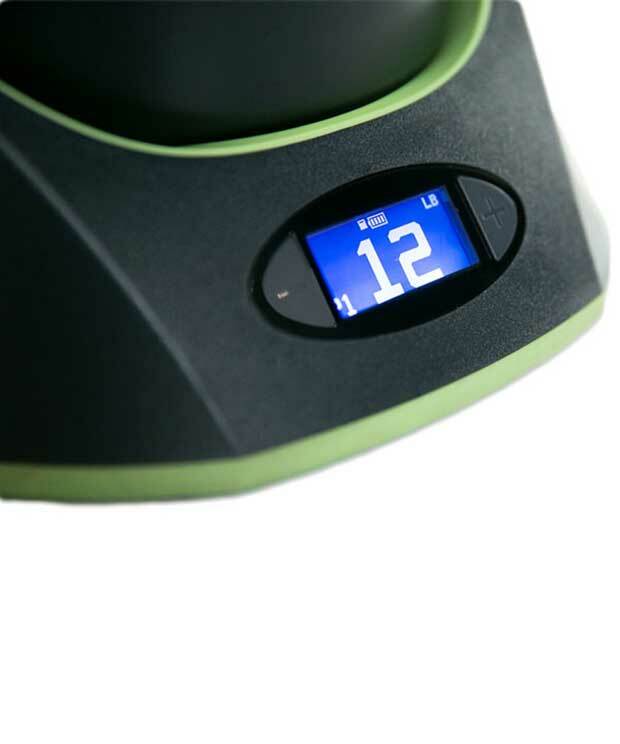 Inside are six weights that can be added or removed when placed on its electronic base. 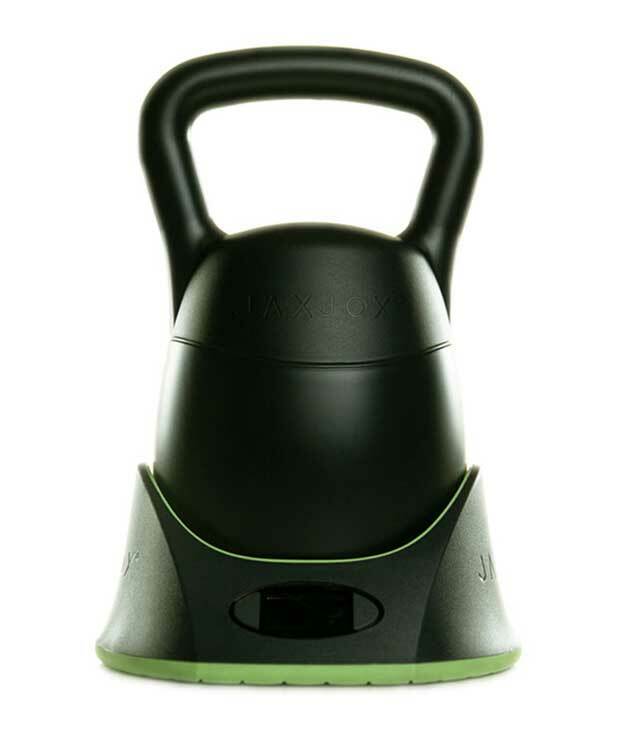 It lets you adjust the kettlebell’s weight in 6 lb increments from 12 lb to 42 lb.